It is no surprise Budapest won ‘Best European River Cruise Destination’ in the most recent Cruise Critic Cruisers’ Choice Destination Awards. The Hungarian capital is one of the world’s most historic cities, the food and wine is superb, most sights are within walking distance and many of them are World Heritage listed. Staying in this wonderful city overnight on a European River Cruise with Crystal gives you time to explore the major sights, and uncover a few hidden surprises along the way. Overlooking the Budapest Parliament from the Fisherman Bastion. While the World Heritage listed Buda Castle District is on most traveller’s ‘must visit’ list, and rightly so, some of its most fascinating attractions are less well known. Venture down the stairs of a 13th century Dominican Cloister and you will discover an ancient cellar which originally formed part of a tunnel system underneath Castle Hill, carved in the middle ages as an escape route. Candle light flickers on the cellar’s ancient walls as you sample Hungary’s most famous wine varieties guided by a sommelier. The Cellar can be reached via the Hilton Hotel by walking through the medieval cloister and following the signs to Faust Wine Cellar. It costs around A$35 for generous samples of half a dozen wines. 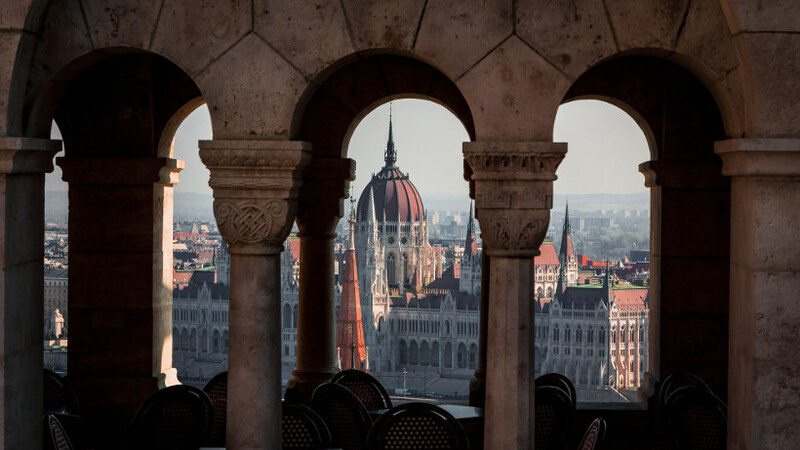 No matter where you stop for a coffee in Budapest, you're bound to be treated to a beautiful view. 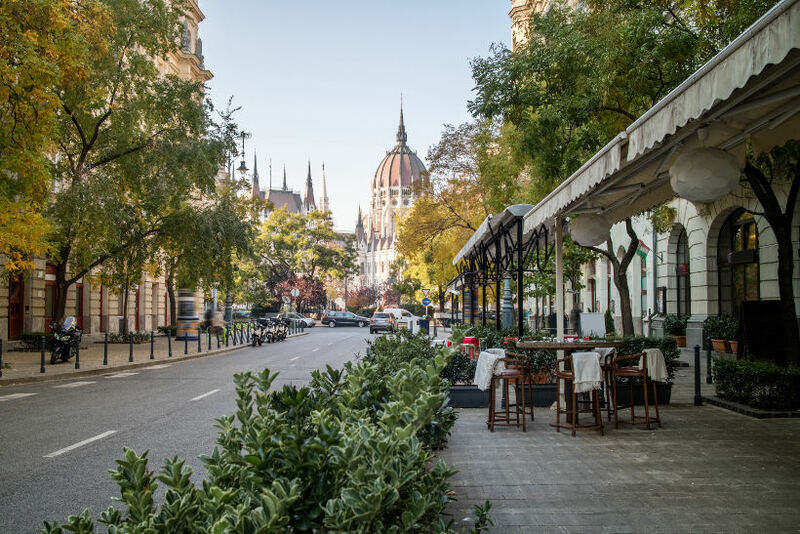 Coffee houses thrived in 19th-century Budapest, with over 400 cafes spread throughout the city, and indulging in the city’s coffee culture remains a favourite pastime for locals. Little has changed at Café Gerbeaud since famous customers such as Franz Liszt used to drop in for coffee with chocolate, and the café remains as popular with locals now as it did 150 years ago. Chandeliers twinkle overhead and the cakes look almost too pretty to eat. Of course, there is table service. Try the hot apple strudel dusted with icing sugar or the traditional dobos torte, an elaborate cake made with eight thin layers of sponge filled with chocolate buttercream and topped with a caramel fan. Enjoy these delights while you people watch over a liqueur coffee. 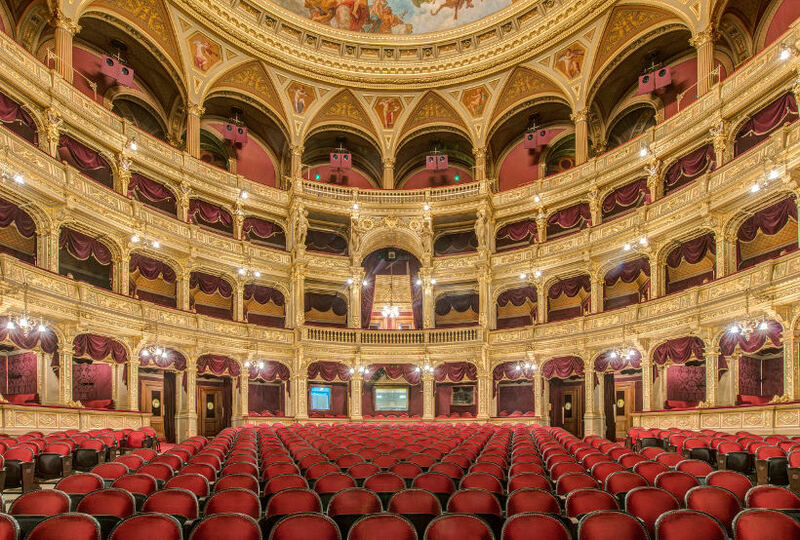 The magical opera house in Budapest is a treat to see a show in. Widely regarded as one of Europe’s most beautiful Neo-Renaissance buildings, and one of the world’s best opera houses in terms of acoustics, the only thing about the Hungarian State Opera House that won’t take your breath away is the price. Here you can see world-class opera for less than A$10. Walk up the red carpeted staircase and take your seat in the grand auditorium filled with gold private boxes which once housed visiting royalty. Tickets for these spectacular seats are now available to everyone for less than A$35 and can be purchased on-line or at the door. Guided building tours featuring a ‘mini-concert’ by two opera artists are also held daily at 3pm and 4pm, with tickets available in the lobby. 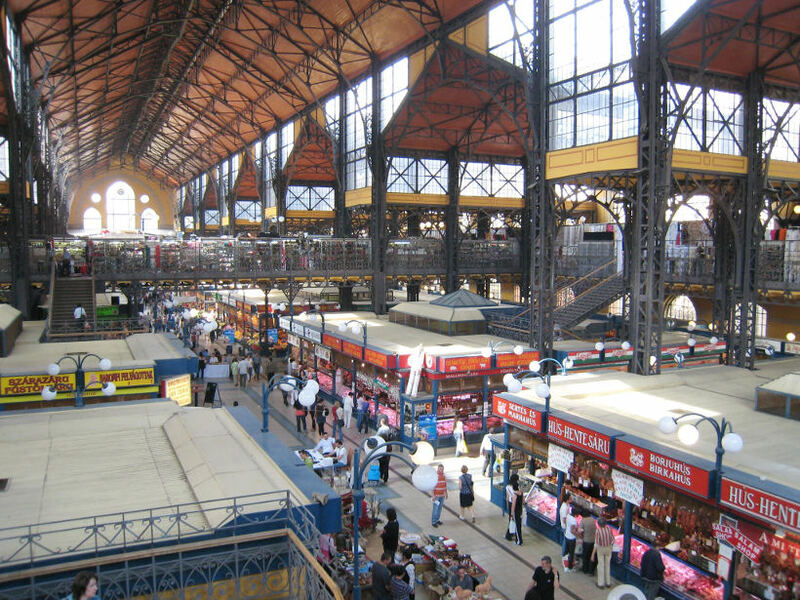 The Budapest market hall is full of delicious food stalls showcasing local delights. Discover authentic souvenirs, food specialties, wines and spirits at the Great Market Hall, a world-famous market which opened in the centre of Budapest in the late 1800s. While it is possible to visit the market independently, why not take the complimentary Crystal shore excursion, ‘Feast for the Senses’, which includes a guided market visit plus free time to explore? Inhale of the scent of delicious spice-studded sausages, Hungarian paprika and creamy local cheeses, many of which are available for tasting. You can also join the locals at food stands on the top floor for lángos, deep fried dough topped with sour cream, garlic and cheese, or a bowl of hearty Hungarian goulash. After soaking up the market’s colourful sights, the tour returns you to your Crystal river yacht on the Danube. Dr Tiana Templeman is a Brisbane-based freelance food and travel journalist who is often out-of-town but always on-line. She writes for the popular travel blog Good to Go and contributes to numerous Australian and international media outlets. Find Tiana on Google+, Twitter (@TianaTempleman), Facebook, and Instagram (tianatempleman).